Deadlift is one of best weightlifting exercise. It is the test of your body's overall strength. If your total capacity is 80 kgs, you do only 80 kgs deadlift. A healthy person can do double deadlift of total weight of body. If anybody's weight is 60 kgs, he can easily do deadlift of 120 kgs. 1. First of all give a tight grip to your barbell. For this, lower your above body part to the front of floor. 2. Now bring your weighted barbell upto front of your thigh. 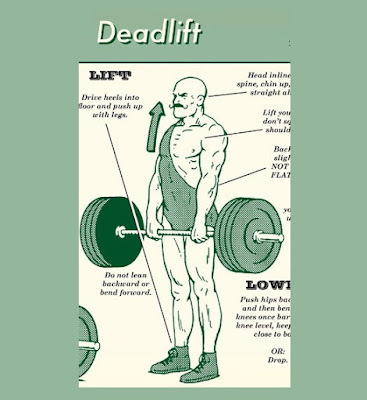 This is the deadlift. Now, return to the previous position. 3. This is lower body weight training. So, do its 4 and 5 sets for increasing strength in your thighs. Remember : Warm up before doing this exercise. No Comment to " How to Do a Deadlift "